Basically I wouldn't worry about it until you start getting amps. I noticed my headlights would VERY SLIGHTLY dim when the bass really hit, at idle. I got a 1 farad capacitor and it's no longer an issue. You'll be okay, as long as your battery is in decent shape. So does it matter if the relay is high amperage? A 50 amp will work just fine compared to a 35 amp? How to see if the junker fan is good (apart from the looks of it)? 3. So how do we power the low speed . ? 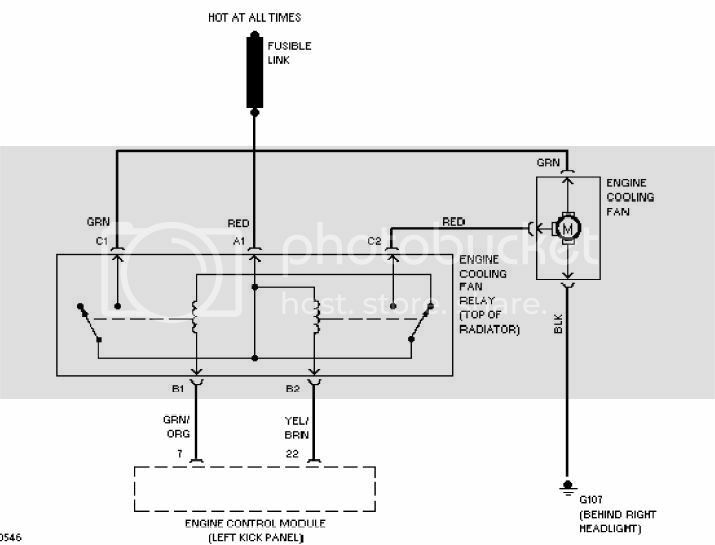 Will it be through this relay shown in diagram or I will need a separate relay controlled by a manual switch at dash. If I am thinking correctly then this means that one of out put from either C1 or C2 does not connect anywhere. Is that correct.